Words by Kevin Doocey on April 7, 2011 . 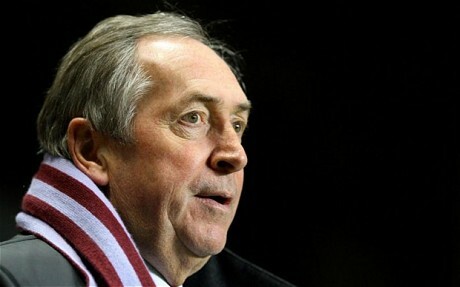 Maybe I’m alone in my opinion of Gerard Houllier but I regard the Frenchman as one of those managers who always seem to get decent jobs, yet have very little understanding of the modern game. When Martin O’Neill left Villa Park things took a change for the worst. Milner had gone, Ashley Young was looking for a way out (still is) and John Carew; one of the most prominent strikers was loaned out to Stoke City for the season. These things do not bode well for a football club and hence this why by Sunday we will more than likely see them in the relegation zone. To be honest: there is nothing more that I’d love than seeing Villa be relegated to the nPower Championship. Based on their football this year, they do not deserve to be playing Premier League football next year. Add that to the more than obvious fact that we suffered relegation at Villa Park two seasons ago, losing 1-0 in a game that meant nothing to them. It’s a harsh opinion, I know - but there would be nothing more satisfying than giving them a taste of their own medicine. We travel to Villa on Sunday in quite different circumstances. What are they similarities? Obviously we can still be relegated from the Premier League but we are in a better position overall. The pressure to get 3 points is on Villa. However, forever the optimistic: I see us winning this one. I think we have far more spirit than Villa, and have a midfield to oust them. Joey, Nolan, Gutierrez will all be eager for revenge for that dark day in the sun - although Joey was suspended from NUFC by Alan Shearer if I remember correctly. That day in Villa Park, the travelling fans cheered and urged on a lacklustre Newcastle United side, which were inevitably relegated courtesy of an unfortunate Damien Duff own goal. Even outside the stadium the Geordies saw optimism and although the mood was downbeat naturally there was a sense of a new beginning, a change for Newcastle United. We’re right back up stronger than ever now, and one of our first games happened to be against Villa; an encounter we won 6-0. An Andy hattrick, a double from Kevin Nolan and of course a stunner from Joey Barton in the first half. We can do the double on Sunday, even without all our strikers and indeed Nolan. Kev will be a big loss no doubt, but if we play to our strengths - we can confirm our status as a Premier League team and rid those bad memories of that part of Birmingham. Shame Nolan's suspended but I get what your saying, am going for a 0-1 win, Shola!